← Fire Shutters or Fire Curtains? 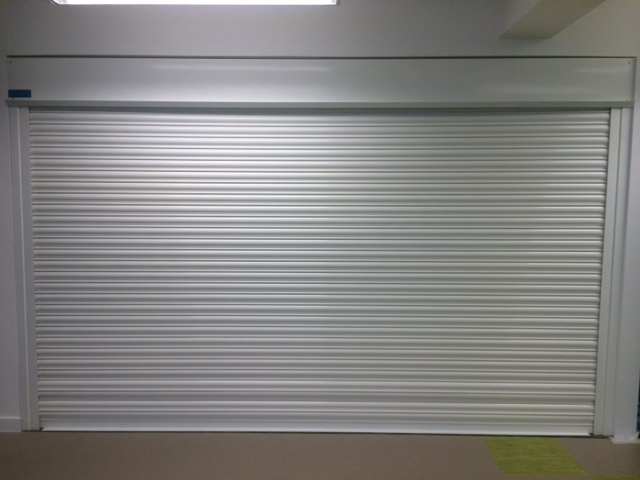 When you think of security shutters, your first thought is probably that you’ve seen them on a lot of commercial premises. Sturdy, grey metal, keeping out ram raiders, burglars and the Great British weather. It’s very unlikely that you’d be looking for such an industrial-style solution for your home. But what if we told you that roller shutters are actually a very popular choice for domestic property owners? There are so many reasons why security shutters for your home are rapidly becoming one of our most requested products, here are four reasons why security shutters are the right choice for you. Let’s be honest. When was the last time you heard a burglar alarm and thought “That house is being burgled”. Yes, they’re displayed prominently, but burglars know that most of us ignore a ringing alarm these days. A security shutter is a comprehensive way of showing that you’re serious about security, and without access to easily broken glass, or a lock to force, an intruder has no easy way in. Security shutters for domestic homes are designed to fit in with a domestic setting. You can go for the metal look which commercial buildings have, or you can choose to have your roller shutters finished in white, brown, or your choice of many other powder coat colour finishes. A study in Australia showed that installing shutters across a family home could offer savings of around £500 per year on your average utility bills. During the summer, the shortwave radiation from the sun easily penetrates glass, heating up your home. Unfortunately, the glass stops the heat escaping so easily, creating a greenhouse in your home. Shutters block the sun’s rays, keeping your home cool. In the winter, the shutters act as an extra layer of insulation, keeping heat in, and your home cosy, meaning less need for your central heating to be on. Other than security, privacy is the main reason we’re asked to install shutters. If you don’t want people looking in, or you only occupy your property for part of the year, a security shutter means nobody can see who’s in your home. If you’re ready to take your security, privacy and financial efficiency up a notch, just get in touch with Abacus to discuss our residential security shutters London installation service on 0845 644 1225, or contact us for more information on how security shutters could be the perfect match for your much-loved home.